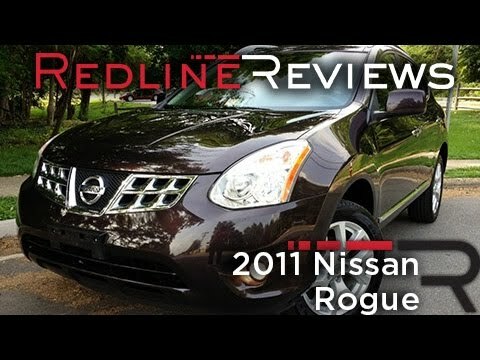 The 2010 Nissan Rogue handily out-styles the CR-V and RAV4, and is among the most fun-to-drive compact crossovers on the road. My car is very reliable! I have been driving it for eight years (57k miles) with no major problems. The main issue I have dealt with is that the batteries on the keys do not last long and need to be replaced, which is a total pita. It performs well, though it is not as peppy as a sports car, but it speeds up pretty quickly. There are no issues getting to highway speed on a short merge ramp. I get decent mileage, usually around 17. 2 mpg (average of 250 miles per 14. 5 gallon tank, city driving. ) There is a good range of temperature from the air conditioning and the controls allow you to get the temp and air speed just right. I really like that there is an AUX port so you can listen to your phone while driving, though there are not any controls. There is a lot of space in the car. I am able to fit camping gear to last a week in the back of the car (and I am not an efficient packer. ) The car is not luxurious, but it is very comfortable and rides well. Overall, I would recommend the Nissan Rogue to a friend. It's a fantastic family car if you aren't quite ready for the "minivan" and it is extremely reliable. My vehicle is very dependable. It is 8 years old and I have been very fortunate to have only had one accident in which my car held up very well and was fixable when others may have been totaled. The transmission is slowing down however, but that is likely to happen when your vehicle reaches almost 10 years old. Its roomy enough for 3 car seats in the back seat (which I have done on more than one occasion and I have 2 permanently). I feel safe while driving and can see the road so well in the height of the SUV. The size is perfect. It is a crossover so it is not too big but has plenty of storage. It has decent seating. I love the color (it is red). It has optional all wheel drive so it handles well in bad weather. I drove it through one of the worst winters in Syracuse, NY. My only complaint is I'd like some of the safety features to be a little more intuitive. Sometimes they do not come on when they should and I have to switch them on manually. I would also like the option of fog lights.